Like in many schools, Old Oak has a School Council. School Councillors help run the school properly, and keep children’s behaviour really good. School Councillors have a lot of responsibility and are the pupil leaders of the school. Other pupils, who are not School Councillors, respect the School Councillors, and know that they can go to them if they need help or want to say something about the school. School Councillors must show really good behaviour. School Councillors are elected by having a vote, where pupils pick who they think will represent the school well. After the School Councillor is elected, the second person with the most votes will be the Deputy School Councillor. Deputy School Councillors will next year become official School Councillors. When that happens, people will have another vote for a Deputy. This means that the new School Councillors have experience. Every time when a student wants to make a suggestion, they write it on a piece of paper and put it in the Suggestion Box, which the School Councillors speak about at the meetings. Each classroom has a Suggestion Box. Suggestions can’t be silly otherwise they won’t be accepted. If the suggestion is good, then School Councillors will try their best to work on it. 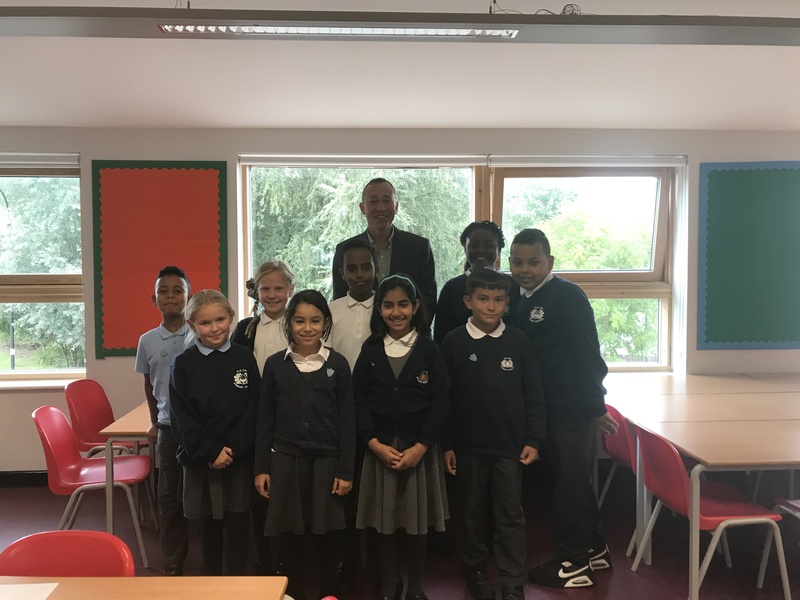 At the start of the year, we met our local MP, Andy Slaughter, and he gave us advice about how to be good representatives. School Councillors have meetings with Miss Hepworth to discuss what they can do to improve the school and plan upcoming events. They also discuss suggestions that people write on papers and then put in boxes. For example one event was the Macmillan Cake Sale, and School Councillors helped to make posters, collect donations, sell cakes and so on. Meetings are really important because it organizes the school and keeps the school on form.